Grayshott has a wide variety of shops, restaurants and other great things to see and do. Enjoy our local pub, the "Fox and Pelican" or take a relaxing break at the award winning "Grayshott Spa". Or check out "Applegarth" our local farm shop and restaurant. And don't forget the world famous "Grayshott Pottery" for a great day out and stunning ceramics. If you are looking for a great day out or want to have a long weekend, why not come visit us in Grayshott. With numerous attractions, great shopping and a variety of dining you won't be dispaointed. 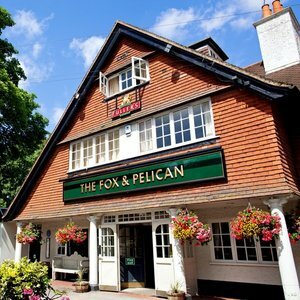 A wonderful community pub, The Fox and Pelican is very much part of village life in Grayshott. Serving great locally sourced food and outstanding cask ales, you're always assured a friendly and warm welcome and service with a big smile. Surrounded by areas of outstanding natural beauty – The Fox & Pelican is the hub of village life. One of southern England’s few remaining working potteries, Grayshott Pottery is a truly unique way to spend in the countryside where Hampshire borders Surrey, in the company of people for whom traditional craft remains a living passion. See our creations come to life and take away a unique gift to use daily and admire eternally. For over 50 years Grayshott health spa has provided a retreat for those looking to address health issues and improve their well-being. 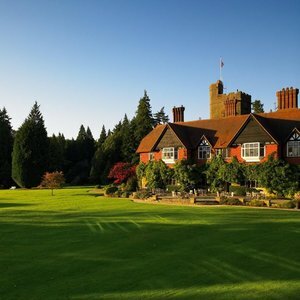 Whether you want to address health problems, de-stress, get fit or simply ‘get away from it all’ Grayshott health spa offers a warm, friendly atmosphere combined with trusted expertise..
Grayshott is home to numerous countryside retreats, walks and environs. Many of these are managed by the National Trust. Several of these areas have been designated as a Site of Special Scientific Interest (SSSI) or Special Protection Area (SPA). Whatever your outdoor activities, you can find it in grayshott. Beauty spot a mile from the village of Grayshott. A series of three large ponds linked by streams and waterfalls and maintained by the National Trust. Very popular cool shady retreat in summer and for the spectacular foliage in the autumn. Stunning views from the second highest hill in Surrey reaching as far as London. Interesting landmarks including a Celtic Cross, Sailor’s Stone and a milestone marking 39 mile to Hyde park corner. A large area of open heathland between Grayshott and Headley Down and popular with walkers and dog walkers. One of the largest remaining areas of heathland in East Hampshire and home to a number of endangered species. An extensive area of heathland and mixed woodland either side of the A3 just South of Grayshott. Much of the area is owned by the MOD and used for exercises. There was a major Canadian Camp here during WWI. Described by the National Trust as an iconic view, the Devil’s Punch Bowl is a natural landmark which is steeped in history. A remarkable and beautiful area covered by heather, woodland and local wildlife, making it a spectacular view & day out. A delightful woodland walk, ambling through Tyndall’s Woods along the side of Nutcombe Vale to Hindhead, now takes you over Miss James’ bridge with a good view of the A3 Hindhead tunnel. Miss James donated the land to the National Trust.